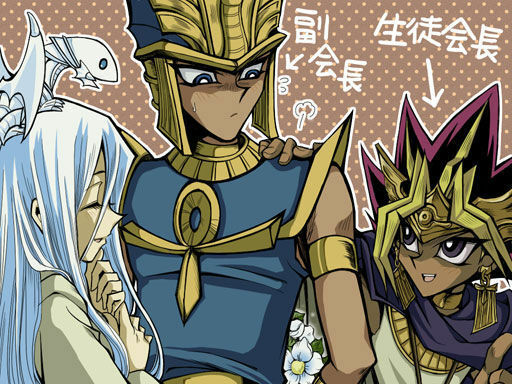 Past Friends. . Wallpaper and background images in the Yu-Gi-Oh club tagged: yu-gi-oh kisara priest seth atem. It's really cute!I don't really understand,but I guess that Atem was saying something about SetoxKisara,which made him blush,and made inncent Kisara smile because she really like it.